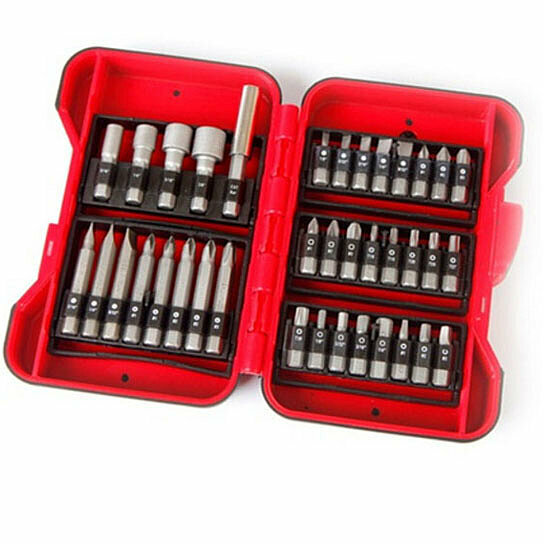 37-Piece Screwdriver Bit Set in a rubberized tough case. 24 - 1 in. Screwdriver Bits; 8 - 2 in. Screwdriver Bits; 4 - Nut Drivers; 1 - 2 in. Extension.